In “What Does This Button Do?”, Dickinson – a man who famously never gives interviews about his personal life – reveals, for the first time, the most fascinating recollections including his years with Iron Maiden, the early days, his childhood within the eccentric British school system, going solo, realizing his dream of flying jumbo jets and his recent battle with tongue cancer. The singer worked on the project extensively while on the road for the band’s world tour in support of 2015’s “The Book Of Souls”, which covered 39 countries and 117 shows since February 2016. Dickinson filled seven A4 notebooks by writing his story in longhand, in addition to his duties as a performer and as the pilot of Iron Maiden’s new 747 jumbo jet Ed Force One as he flew band, crew and 22 tons of equipment around the globe. 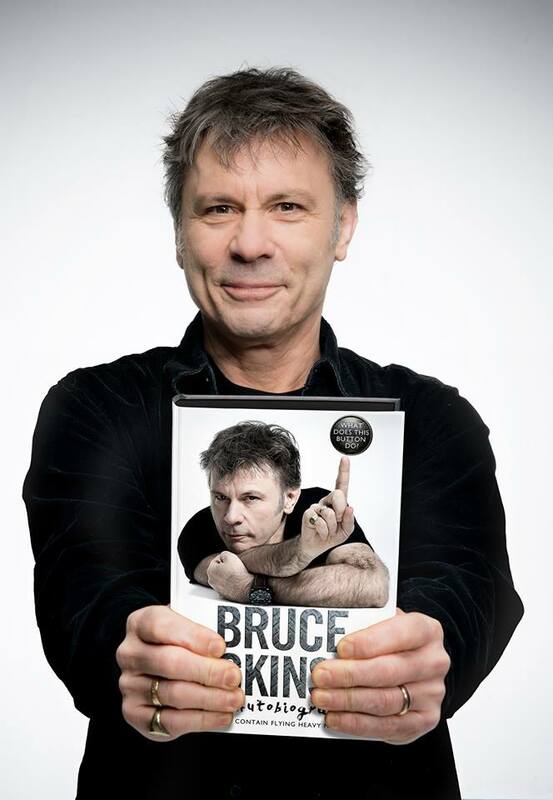 The Australian spoken-word events will include a Q&A session with the audience, who will receive signed copies of the memoir; tickets will go on sale on Friday, July 20 at 12 p.m. local time. Dickinson and Iron Maiden are currently playing dates on the Legacy Of The Beast summer 2018 European tour, which mixes headline shows with festival appearances and runs until mid-August.